This 4-day course combines attachment play with art, cleverly interwoven with the basics of Somatic Experiencing®. Maggie Kline, Family Therapist, School Psychologist, Somatic Experiencing® International Faculty Member and co-author with Peter Levine of Trauma through a Child’s Eyes and Trauma-Proofing Your Kids & Isabell Correa, Neuromuscular Therapist, SEP Lead Assistant & SE™ Basics Instructor present to you Trauma Through A Child's Eyes. This 4-day workshop is designed to teach professionals how to help children reorganize and rebalance the autonomic nervous system at the biological/survival level after being overwhelmed following a traumatic or stressful event(s). Maggie & Isabell will teach games, play activities and art through the lens of Somatic Experiencing® to facilitate the release and completion of thwarted developmental motor reflexes and survival responses to elicit the capacity for attachment and healthy social engagement. This material is useful for professionals who wish to integrate the core concepts of SE™ when working with kids, as well, as those wishing to deepen their understanding of inner child work with adults. The format for learning will be a mixture of lecture, video material, and experiential activities. This workshop is designed to teach you new skills while having fun!!! If you would like to join Maggie's email list and be informed about updates, courses, and new offerings, click the button below. Maggie Kline has been a family therapist for over 33 years, a retired school psychologist and a member of the Somatic Experiencing® Global Faculty since 1999. 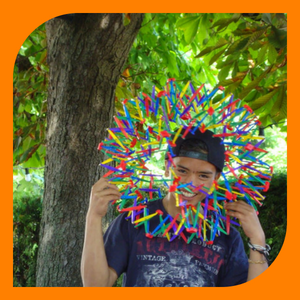 She combines Gestalt, Family Systems, SE™, art and play therapy in her work with professionals and parents. Maggie co-authored Trauma through a Child's Eyes and Trauma-Proofing your Kids with Peter A. Levine. 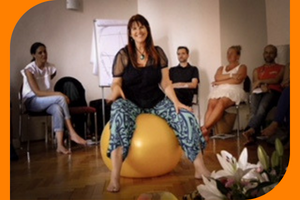 She is passionate about teaching her inspirational Trauma Healing PlayShops that have taken her all over the globe, including Europe, Asia, Australia, South America, and New Zealand. Her latest project is a book on transforming trauma and stress in our schools by creating SmartSchools. Look for it April, 2020! Xiomara ‘Isabell’ Correa is a Somatic Experiencing® Practitioner with over 27 years experience of trauma-informed somatic touch work as a Neuromuscular Therapist in Integrative, Psychiatric, Orthopedic and Rehabilitation Medicine. She supports resiliency and the emergence of a sense of self in bodies through the life cycle. 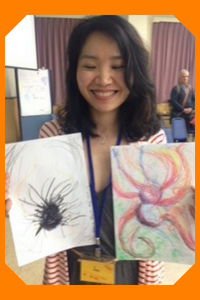 Isabell incorporates Interpersonal Neurobiology; Structural and Sensory Motor Integration; Somatic Therapies; Play and Art therapy in her therapeutic work. Isabell is passionate about healing in communities and has collaborated as a Somatic Experiencing®️ (SE™) Lead Assistant and Consultation Provider to launch SE™ trainings in Texas, Australia, and Taiwan. She is an SE™ Basics Presenter for the Somatic Experience Trauma Institute (SETI) and an SE™ Advance Coordinator. Isabell will be guest teaching with Maggie in North America.